Three million Vietnamese names, etched on copper plates 13 feet high. Los Angeles artist Chris Burden, who died on April 10 at age 69, is best known here for his 202 antique street lamps in front of LACMA—they’ve become an icon of the city. But one of his most significant, and misunderstood, works is The Other Vietnam Memorial. It’s a response to Maya Lin’s magnificent Vietnam memorial on the Mall in Washington, DC–“The Wall” that displays the names of every American killed in the Vietnam War—58,220 names. The Other Vietnam Memorial contains 3 million Vietnamese names etched into a dozen gigantic copper plates that stand 13 feet high, arranged like spokes on wheel. The meaning is clear: If you’re going to commemorate the dead in the Vietnam War, you should remember not only the Americans who died but also the people the Americans killed. Of course, nations build war memorials to honor their own dead. Maya Lin’s memorial took a step back from that centuries-old tradition by steadfastly refusing any heroic representation of “the fallen.” The list of names etched into the black granite wall on the Mall, as she famously said, “speaks only of loss.” Chris Burden took that concept one giant step forward. 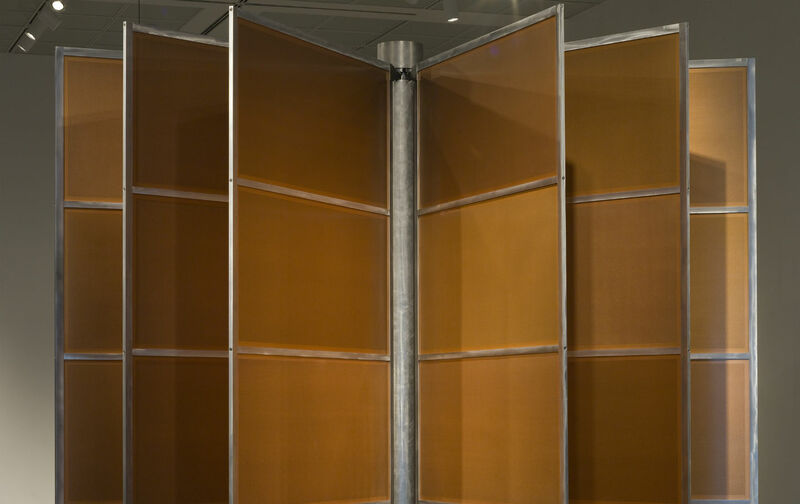 Twenty-two years later, when The New Museum organized the first-ever Chris Burden retrospective in New York City, they omitted The Other Vietnam Memorial, even though they had five floors of space. After Burden’s death, LACMA announced a memorial exhibition featuring their holdings of his work. And the Hammer Museum in Los Angeles, part of UCLA, where Burden taught, will exhibit their own holdings of his work. But no museum in his home town has ever shown The Other Vietnam Memorial, and it appears that none will do it now. The Chicago MCA should get the piece back on exhibit promptly, so that people can once again see this provocative, misunderstood, and magnificent work.